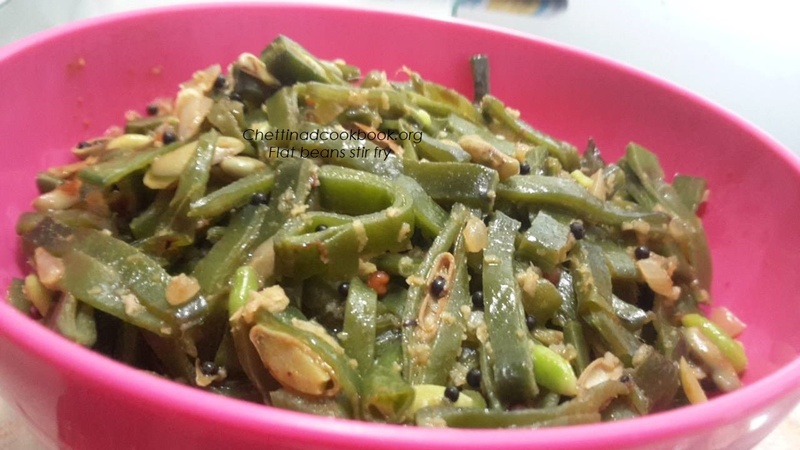 Avarakkai stir fry mild and tasty vegetable, easy to prepare and healthy to feed. Broad beans which contain wonderful and amazing health benefits.It has the nutritional facts present in edible gold flake, my mother used to say “Thanga sathu” present in Avarakkai. Broad beans are an excellent vegetable source of protein and fiber. This may be a winning combination for weight loss. Most beans, including broad beans, are good sources of iron. It’s so essential for the growth and development of new cells that it helps prevent birth defects of the brain and spinal cord when taken before and during early pregnancy. These beans to a provide a boost of protein, fiber, potassium and energy-providing B vitamins. 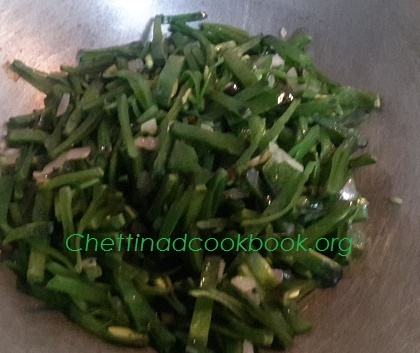 Wash and cut broad beans to thin pieces, chop Onion and green chilies. Heat pan with oil and add “To temper” ingredients. 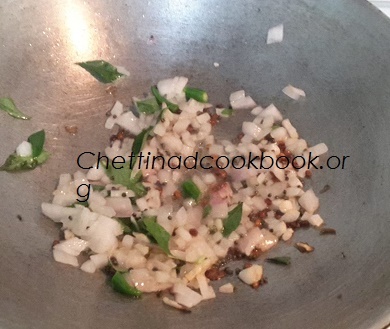 Add chopped onion, green chilies, and curry leaves, saute for 1 minute. Add cut beans saute till it shrinks slightly, approximately 1 minute. Sprinkle 1/4 cup of water, add salt and masala powder, close and cook for 5 minutes or until the beans become soft cooked. Add grated coconut and stir-fry for a minute and serve with cooked rice and sambar.